Planning permission was granted last week for LED lighting outside St Lukes church and the tree & footpath in the church gardens. 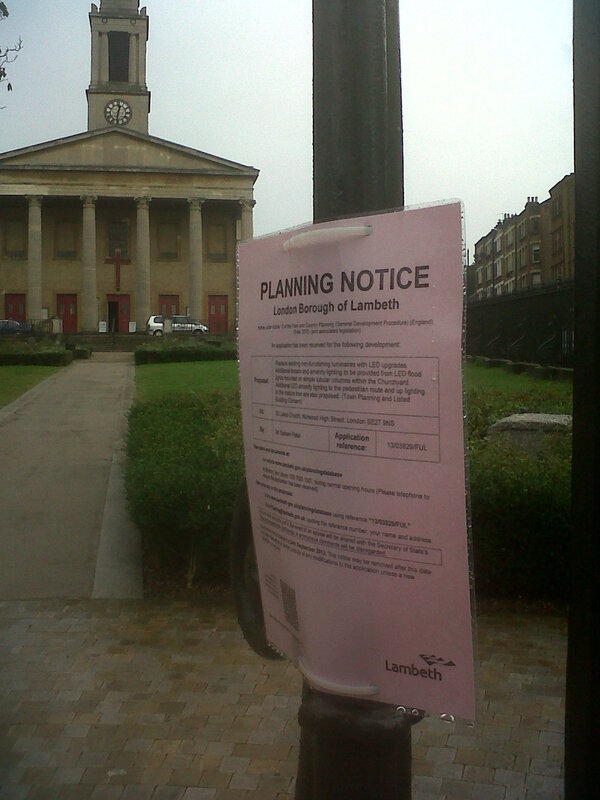 The new lighting should be installed in time for turning on the West Norwood Christmas lights. The new pavements around the church and the new lighting are the first part of Lambeth’s street improvement programme for West Norwood town centre paid for by the council and the Outer London Fund.